I exercise 6 days a week. I never exercised at all until I gained 60 pounds being pregnant with my daughter. i love it! 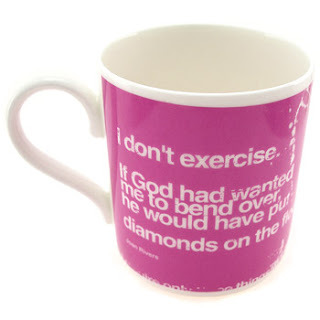 diamonds on the floor would get me to exercise more! I don't exercise either and I hate using stairs! My back starts to hurt if I walk too much.